I used smart select to capture a section of the screen, which I use a lot. 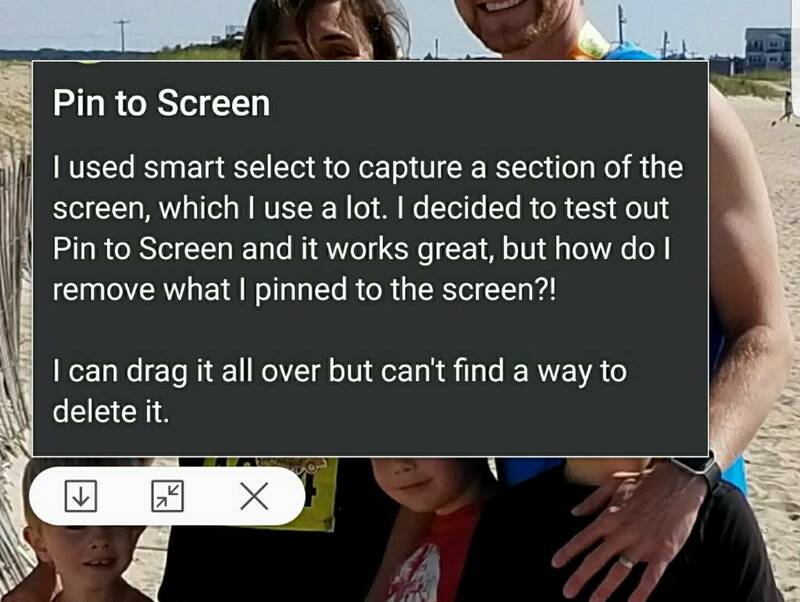 I decided to test out Pin to Screen and it works great, but how do I remove what I pinned to the screen?! I can drag it all over but can't find a way to delete it. It's not a widget so it behaves differently. There's no long press. I tapped on it once and now I can make it full screen or remove it. Guess I should have started with something like a single tsp. What phone can I upgrade to ?